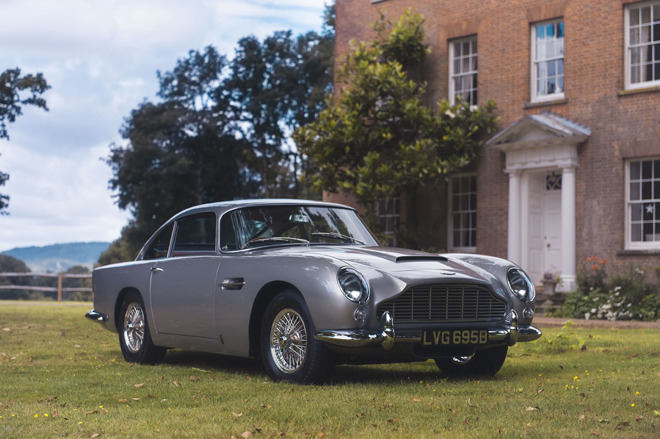 In what is claimed to be the largest-ever transaction made with Apple Pay, a customer used their fingerprint to authorize the purchase of a 1964 Aston Martin DB5 priced at over $1 million. British automobile auction house Coys of Kensington announced this week that the classic car was bought via Apple Pay for £825,000, or over $1 million U.S. The historic automobile specialist says the transaction is the largest known in-app purchase ever made. Coys also claims the 1964 DB5— like the one featured in the James Bond film "Skyfall" —was the first-ever classic car sold via social media. The Apple Pay transaction was completed on the platform Vero. Upping the value of the Aston Martin was the fact that it was a right-hand-drive silver birch model with red leather trim. The previous owner gave it a full restoration, including a rebuild of the engine, and overhauls of the suspension and gearbox. Prior to it being restored and sold, the DB5 was in dry storage for 20 years, where it was not used. The anonymous buyer got to see the Aston Martin in person at the Mondial de L'Automobile Paris Motor Show, then placed the "buy now" order with Apple Pay through the Coys profile on Vero. "He was overjoyed to see the car of his dreams and didn't want to lose it," said Coys Chief Executive Chris Routledge. "He was keen to quickly get in front of the queue, so a few days later he hit the 'Buy Now' button on Vero to guarantee the purchase, leaving two other collectors disappointed in his wake." Other historic cars remain available on the Coys Vero account, though none of them are as pricey as the DB5 nabbed via Apple Pay. They include a Ferrari Daytona valued at £800,000, and a Ferrari Dino 246 previously owned by Led Zeppelin manager Peter Grant priced at £400,000. 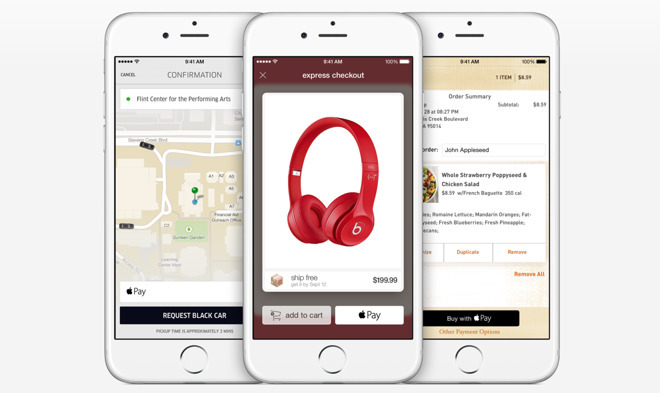 Apple Pay launched two years ago with to key components— point-of-sale tap-to-pay functionality, and in-app purchase authorization. Both components require special hardware in the form of Apple's Touch ID fingerprint sensor and secure enclave for storing payment information.